Retain existing customers and increase marginal revenue while minimizing expenses compared to the previous year. Enhance the brand identity of each company, create consistency in messaging while attracting new customers. Disseminate standardized messages within a coordinated communications program. Measure incremental revenue from new residential homeowners and commercial oil heated facilities. The immediate challenge was to take advantage of each company’s unique corporate brand identity while establishing standard communication messages. The goal was to standardize on a logo, typeface and tagline to ensure consistency of graphical appearance for all six subsidiary companies. After assessing the unique requirements for each company in all markets, Paul Seroka assisted Champion’s senior management team in developing a service diversification strategy. He calculated the extra expenses incurred for continuing with a marketing strategy using different sales and marketing processes without standardization of company logos, taglines, promotional concepts, sales materials, and service contracts. The next step involved creating a new communications campaign for all advertising and promotional materials utilizing a standard logo and tagline, “Nobody Serves You Better.” Seroka assembled a team of creative professionals to execute on this strategy and utilized computer-based publishing within the headquarters for pre-press production. The total program cost approximately $300,000 compared to $1 million, the economic value of the program charged by another consulting offering comparable services. Seroka then led the management effort to install centralized computer software to track leads and the sales process for tracking customer-relationship activity for the 20-person sales force. 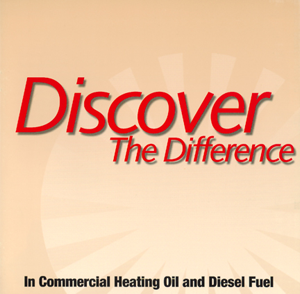 The benefit to Champion is that information was captured for each fuel oil customer indicating their desire for additional Champion services including, air conditioning, plumbing and environmental services. Over a 15-month period, Seroka executed this advertising and promotional program on a cost-effective basis through a coordinated communications program promoting new service offerings, special direct mailers and invoice stuffers, all followed up with direct sales activities. This marketing program enhanced Champion’s value with current customers and generated hundreds of thousands of dollars of new fuel oil revenue from residential and commercial accounts. Millions of dollars in incremental revenue were created from value-added new service offerings and significant expenses were saved as a result of this integrated marketing campaign.